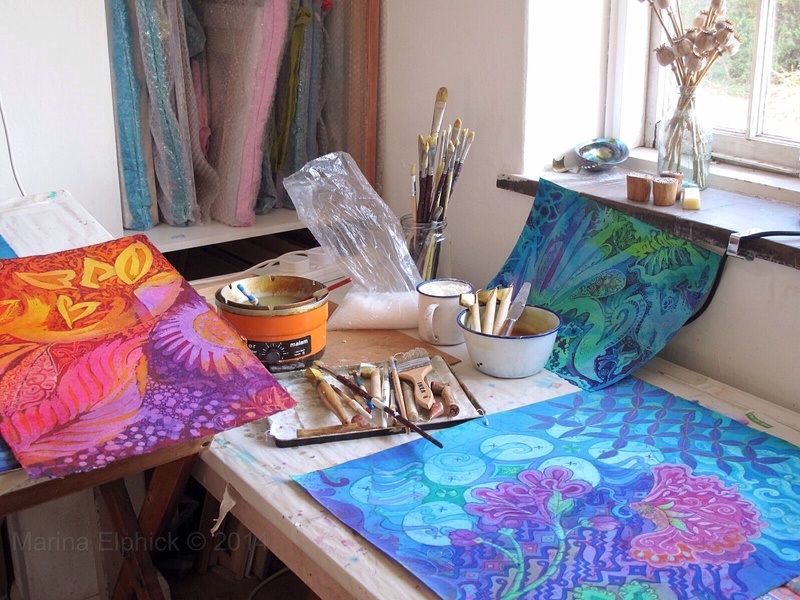 Working on latest batik in my studio. 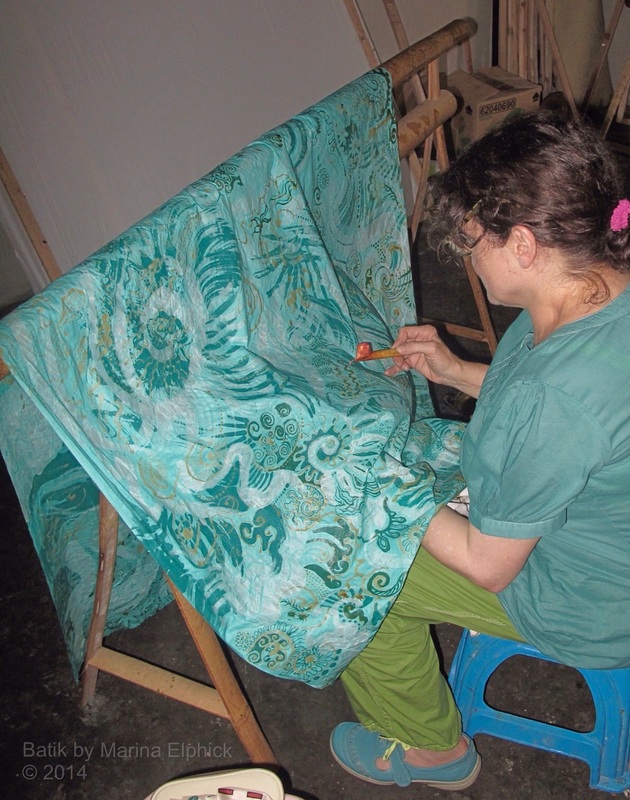 Marina’s studio with batik on the go. 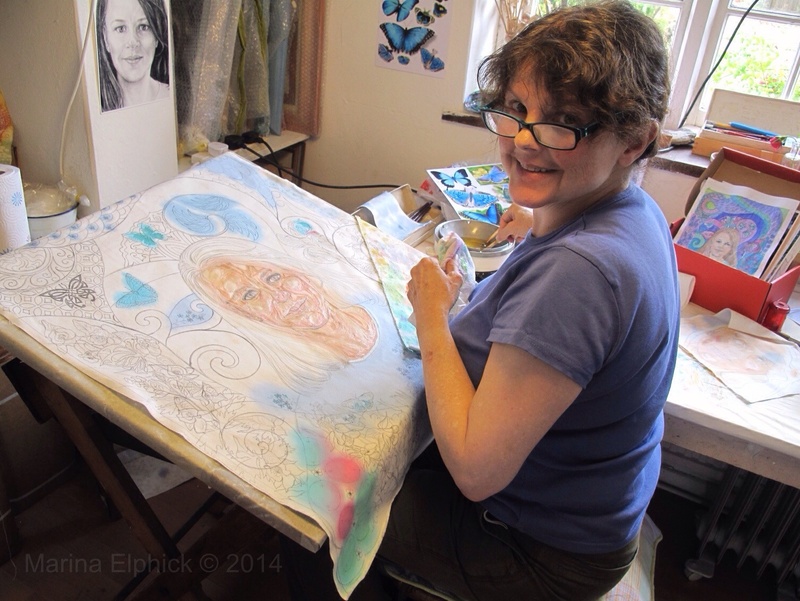 Batik Portraits by Marina Elphick made into a collage of faces from several years of batik commissions and family sittings.